wholesale nfl jerseys Adele Laurie Blue Adkins, (born 5 May 1988), is a Grammy Award-Winning English singer-songwriter from Enfield, North London. Her debut album, 19, was released in January 2008 and entered the UK album chart at #1. The album has since received four-times Platinum certification in the UK and has sold 5,500,000 copies worldwide. The album included the hugely popular song Chasing Pavements. 19 earned Adele two Grammy Awards in February 2009 for Best New Artist and Best Female Pop Vocal Performance. Following a well-received performance of the song at the 2011 BRIT Awards, “Someone Like You” became Adele’s first number one single in the United Kingdom and it stayed on the top of the chart for five weeks. 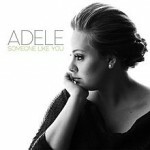 The song also topped the charts in Ireland, New Zealand, Australia, Brazil, Italy, France and Switzerland, and has become Adele’s second number one in the United States. With that achievement Adele became the first female British solo singer in the history of the Billboard Hot 100 to have two number ones from the same album. In July 2011, it became the first single of the decade to sell a million units in the United Kingdom and it was certified Platinum by the British Phonographic Industry (BPI), as well as being certified 5× platinum by the Recording Industry Association of America (RIAA) in the United States.